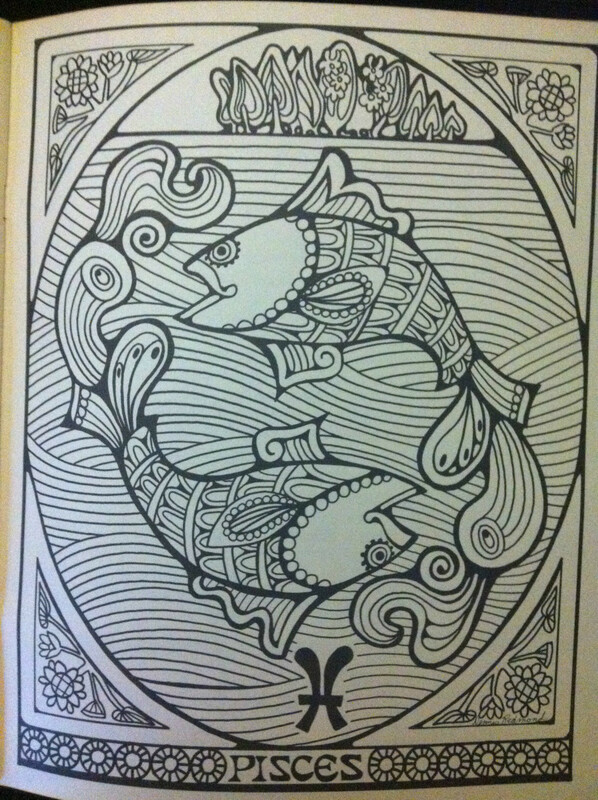 I’ve talked about several Troubador books so far: The Official AD&D Coloring Album (1979), the Science Fiction Anthology (1974), Tales of Fantasy (1975), and Space WARP (1978). 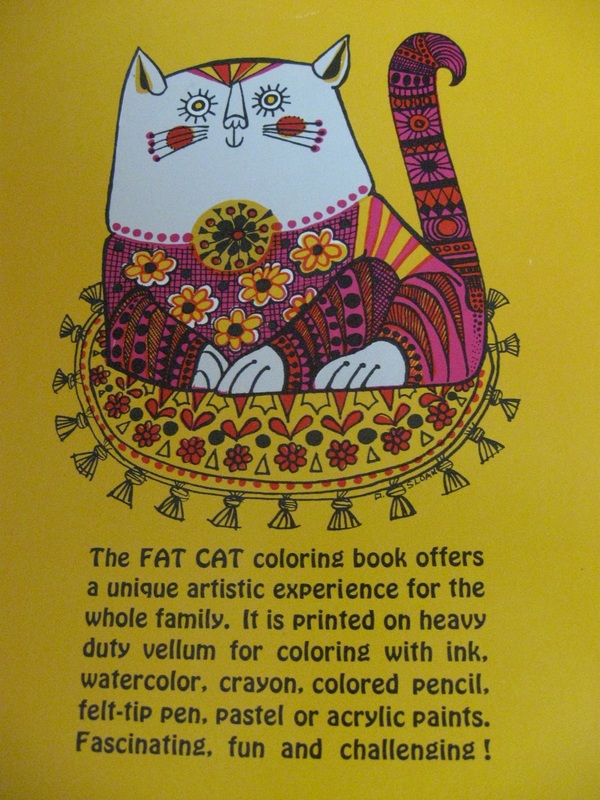 According to Wikipedia, artist-designer Malcolm Whyte “founded Troubador Press in 1959 as a job printer and designer/printer of greetings cards.” The San Francisco company published its first book—The Fat Cat Coloring and Limerick Book—in 1967. 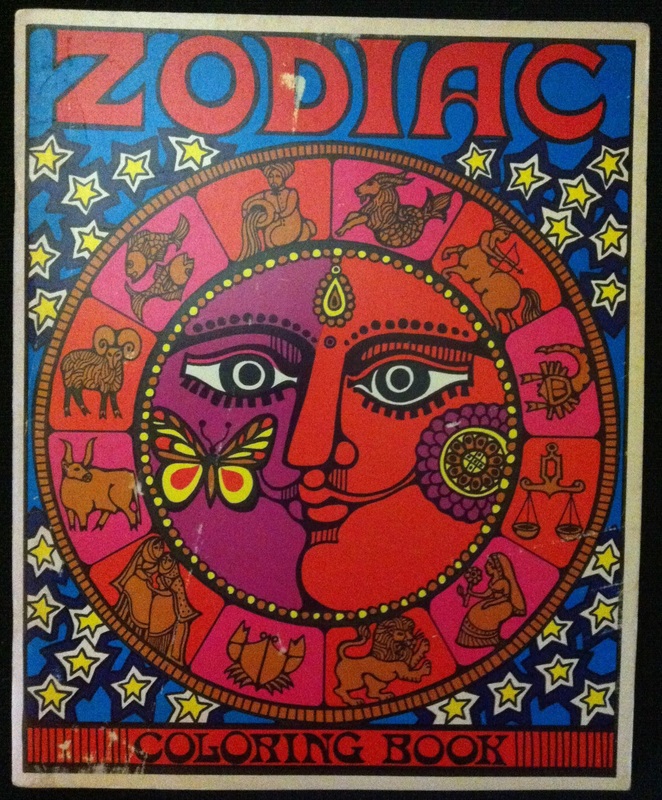 Troubador continued to target the booming counterculture, specializing in intricately illustrated children’s educational books and alternative cookbooks. More esoteric material followed. 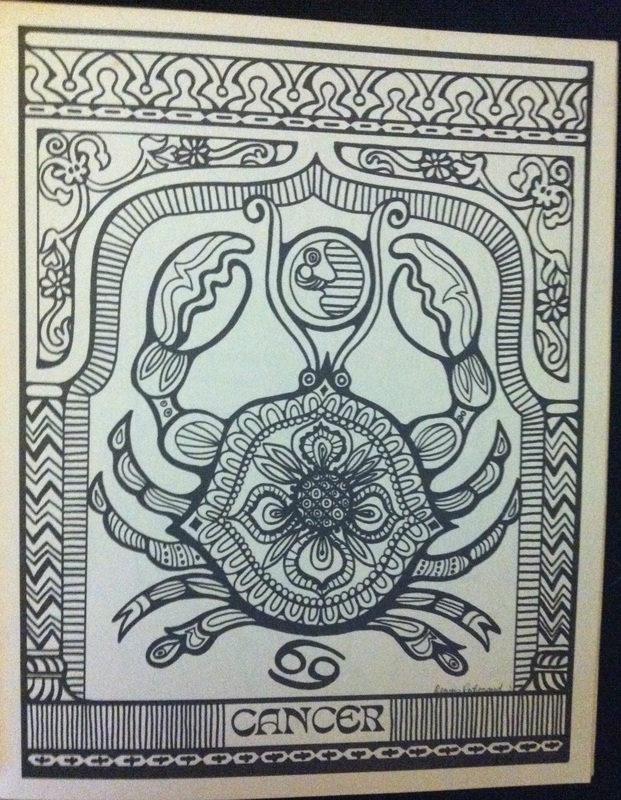 Dennis Redmond illustrated the psychedelic Zodiac Coloring Book above, and the weirdest item in the company’s canon, The Occult Coloring Book (1971), was illustrated by Japanese-American Gompers Saijo, who was interned with his family in Pomona and Wyoming during World War II. It’s easy to bash the hippies today, but credit where credit is due: they’re the ones who embraced and cultivated the kind of cerebral sci-fi that led to Roddenberry’s Star Trek and Kubrick’s 2001: A Space Odyssey, and they’re the ones who pulled The Lord of the Rings into popular culture. “Frodo Lives!” was an enduring hippie meme before anyone else knew where Middle Earth was. Holy crap! 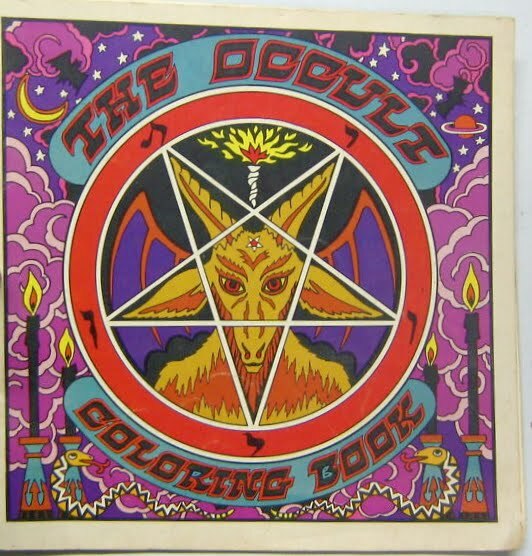 The Occult Coloring Book. Dood. I wish I could see what was inside. Classic. I’ve never actually seen one for sale, but I guarantee you it comes with a hefty price tag. I have this bookmarked. Not all the books are rare. I just got a copy of Space Warp for less than $10 (YES!). I think they’re all saved in the archives because Whyte graduated from Cornell and Troubador was a really influential publisher. Great to see these old books being appreciated – again! I’m the publisher of old Troubador Press and have some mint copies of some of these books. Hi Malcolm: Thanks so much for leaving a comment! I would love to interview you about the original Troubador and your current projects. Let me know if you’re interested. My email is 2warpstoneptune@gmail.com. I’ll try you at the word-play email as well. 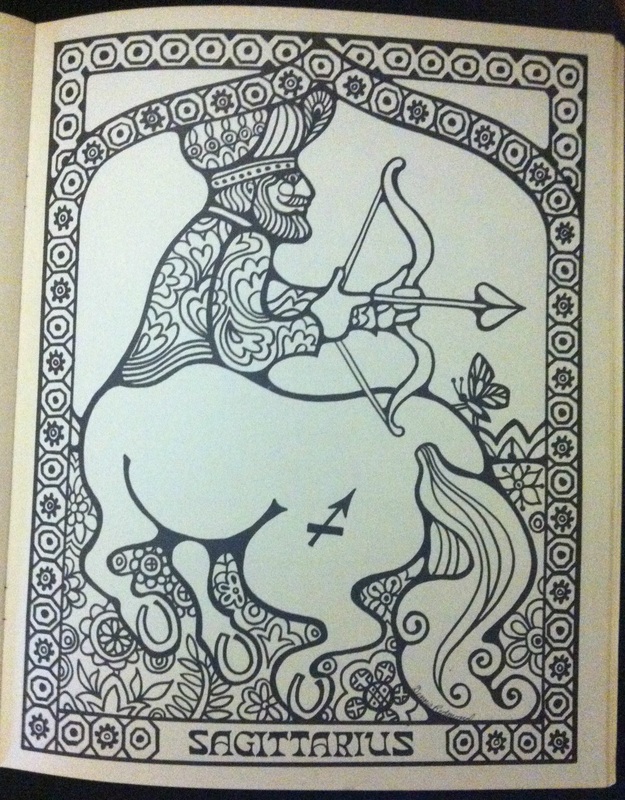 The more I see of the Troubador books, the more I realize how extraordinary and enduring they were and are. Glad you like the books. Happy to talk about them. You can see recent project at http://www.word-play.com. Just sent you an email, Malcolm. Thanks. 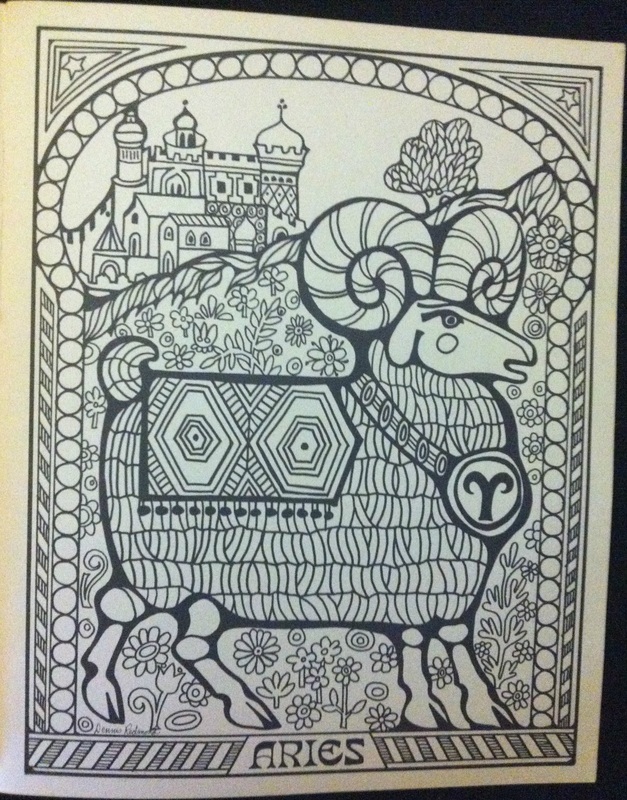 Troubador books are out of print, but you can find them on Abe Books and eBay occasionally. You can also contact Malcolm (see details in the interview) if you are interested in purchasing uncirculated file copies (collector’s items). Good luck! There is no substitute for the original Troubador titles. Thanks for the heads-up. I’ll send a note to Melissa. 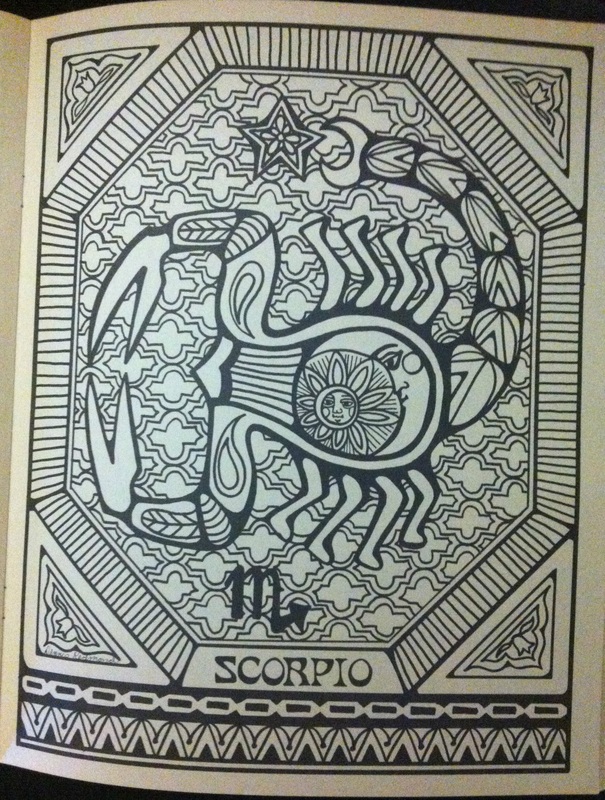 i had that zodiac coloring book when I was in middle school. It was so precious I finally couldn’t stand it anymore and ripped out the pages to disperse among my friends. 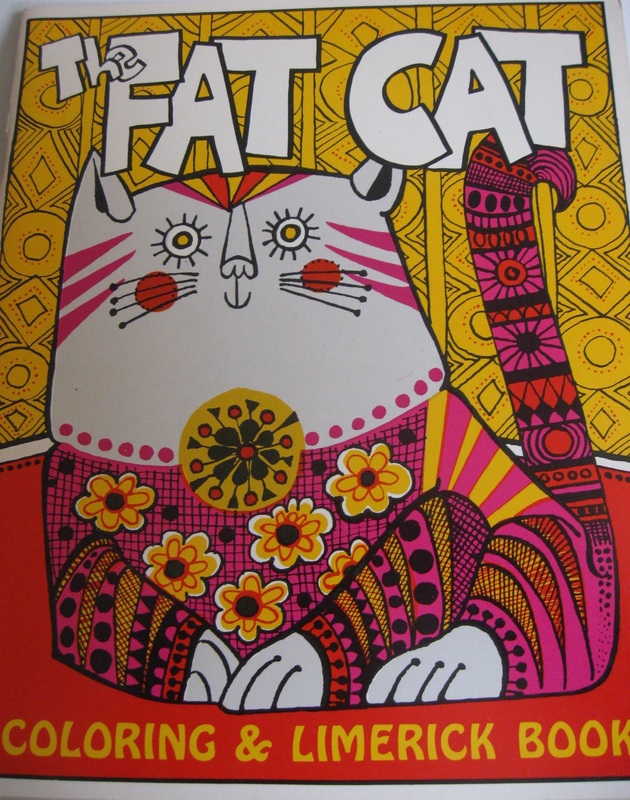 I love the troubadour books as a kid. They were a bit difficult to find, and I’m trying to find more. I am having a difficult time finding people who have put them up as pdfs, don’t suppose you could help? I wish I got the whole box of books whenever I went to the store that carried them. heh. I found theD&D one. They’re so big that it’s hard to scan them, and plus, the books would get messed up in the process. There are a few floating about on the internet, though. I’ve been collecting them for years. They’re out there. not really looking for first edition. yeah I can’t affor them 😦 All the different animal ones Cat’s and Kittens, horses, Bears, flowers. God I wish I had gotten as many as I could when I would see them.